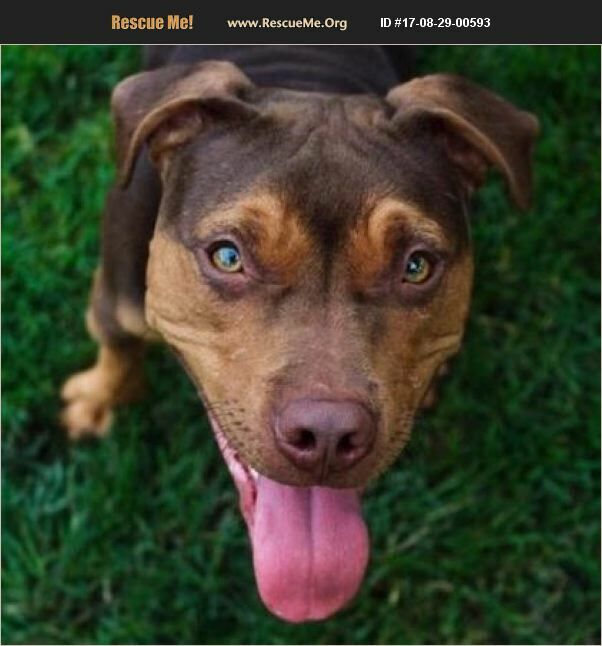 Illinois American Staffordshire Terrier Rescue View other American Staffordshire Terriers for adoption. *MUST LIVE IN 50-MILE RADIUS OF ITASCA (A SUBURB OF CHICAGO) WITHIN THE ILLINOIS BORDER TO ADOPT, NO EXCEPTIONS! * Howdy! My name is Little Chief, and I am a young dog with a bright, loving personality who is looking for a forever family through Fetching Tails Foundation! If you are looking for a cuddly companion who will shower you with kisses for many years to come, I am the perfect friend for you! I am a 1-year-old 'pittie' mix, and I currently weigh in at around 45 pounds. I think I am the perfect size to keep your lap nice and warm during our snuggle sessions! I have a stunning reddish-brown coat and a smile that goes on for days and days; I even smile when I sleep! My human friends saved me from Chicago Animal Care and Control, where I was brought with a broken arm. Now that I am all healed up, I am ready for my happily ever after now! I I would love to have a forever home with a fenced yard and human who will buy me lots of fun toys and treats because toys and marrow bones are my favorite possessions in the whole wide world! I make foster mommy laugh because I like to take my tasty marrow bone with me when I go outside to go potty and will hold it in my mouth while I 'do my business.' I also have two canine foster sisters who are big Labs and I love to play with them: I am so happy to see them that I do this adorable pouncy dance and hop to where they are so I can jump on them and we can play! When playtime is over, nothing - and I mean NOTHING - makes me happier than cuddling with my humans as much as possible. I might be a little shy when I meet new people, but once I know and love you, I am your cuddle buddy for life. You name the place, I will be there to join you: Wanna cuddle in bed? I'm there! How 'bout some couch time so we can watch Netflix and chill? I am so game! I just love to curl up with my people everywhere and anywhere so I can give you a sweet kiss and snuggle in as close as possible. So if you are looking for a happy, fun dog who likes to lounge as much as he likes to play, I am the total package! For a young guy, I have great manners, too. I don't mean to brag, but I am already potty trained and crate trained, too. My foster mommy works during the day, and I am fine resting on my own while she is off making money to buy me more treats. She comes home to see me at lunch and take me out for a potty break because, let's be honest, who wouldn't want any excuse to come home and hang out with handsome me for a bit? I am a very smart boy and would love to see how much more I could learn. Fetching Tails Foundation will require my adopters to sign me up for training classes, and I think that will be a great opportunity for me to work on my shyness so I can be the confident dog I know I am meant to be! I hear my doggie friends say how much fun training is and what a great bonding experience it is for a new dog and their human. Plus I want to learn as many tricks and commands as I can so I can be the best Little Chief possible! What are you waiting for? If I sound like I could be the perfect companion for you, please get in touch with my friends at Fetching Tails Foundation soon and tell them you are ready for fun with Little Chief! I can't wait to see what adventures life has planned for us together! Kisses and cuddles, Little Chief ADOPTION REQUIREMENTS, NO EXCEPTIONS: *ADOPTION FEE: $250 *Be at least 21 years of age *Live in a 50-mile radius of Itasca, within the Illinois border *Have the knowledge and agreement of all adults living in the household *Have approval from owner of residence (written in lease) *Have a valid ID with current address (please provide proof of address if ID address is not up-to-date) *Be approved as a suitable adoptive home by Fetching Tails Foundation *Be prepared to make a lifetime commitment *TRAINING IS REQUIRED! THIS DOG MUST BE SIGNED UP FOR TRAINING AFTER 14 DAYS OF THE ADOPTION! WE WILL NEED TO SEE PROOF* If interested please fill out an application on our website at www.fetchingtailsfoundation.org; please make sure you fill in every required field/question or your submission will not go through. If any questions please email us!